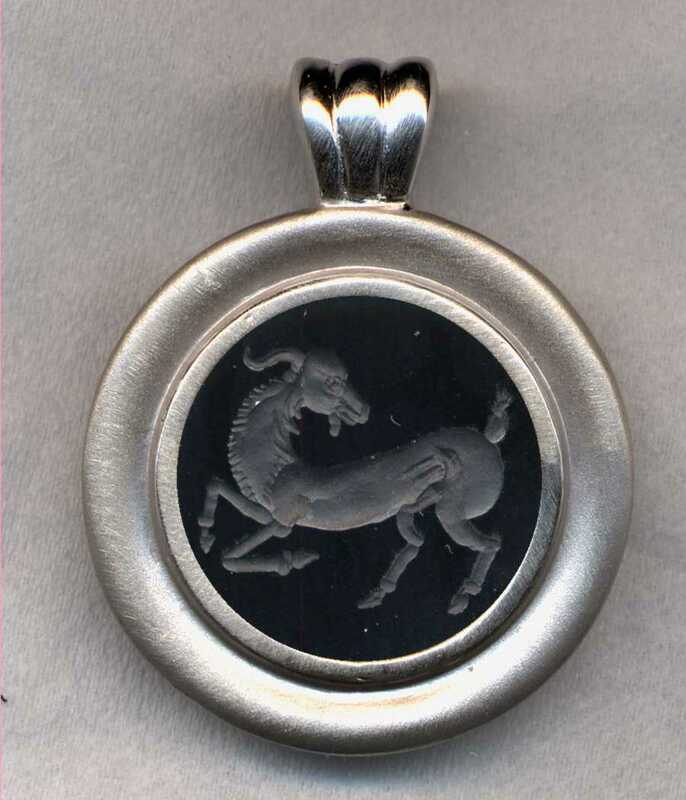 The original engraving was described in a museum catalog as: A kneeling goat, its head turned back. Mane, rump and belly hair carefully marked. Original stone is a carnelian. 23x18mm. Mid fifth century B.C. Private collection.